We are a leading Manufacturer of heavy duty conveyor roller, pvc conveyor rollers, rubber lagging conveyor drum main pulley, belt conveyor roller, carrying rollers and conveyor three piece rollers from Pune, India. With the help of our expert team members, we have been able to offer a wide range of Heavy Duty Conveyor Rollers. these are extensively demanded by various numbers of clients owing to its dimensional accuracy and high functional efficiency. Following the precise demands of clients, we offer these devices in all standard sizes and dimensional accuracy. These can be availed at reasonable rates. 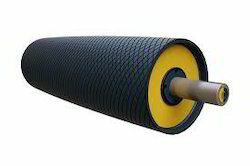 PVC Conveyor Roller offered come with options of both side nylon bush in outer diameters of optional silicon sleeve support on the over roller. 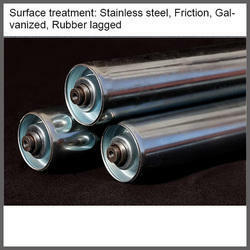 These rollers provide for economical usage support as well as are resistant to corrosive environment. 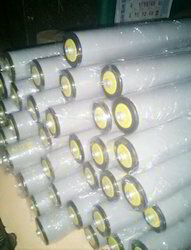 Further, these UPVC rollers are preferred for handling of light loads where the roller may see wet conditions or come in contact with caustic materials. Some of its features include stainless steel axles and bearings that make these suitable for wet areas, sealed bearing support, PVC outer roller shell, spring loaded on both ends, corrosion resistant in harsh conveyor system environment and others. 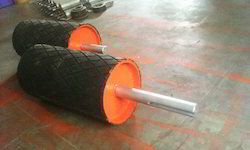 We provide a high quality of Rubber Lagging Conveyor Drum Main Pulley. Being one of the reputed organizations in the market, we are engaged in providing an exclusive range of Conveyor Drum Rollers. Under the stern supervision of our talented professionals, these drums are manufactured using optimum class material and pioneered technology in line with predefined industry standards. To ensure their quality, these drums are thoroughly checked against numerous parameters of quality by our quality experts. The provided drums are installed in conveyor as a component. arrying rollers are used to support theconveyor belt and are installed on the groove shape frame, Groove shape forward inclined idler frame and transitionidler frames. 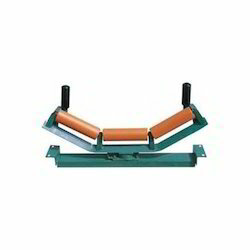 We provide a high quality of Belt Conveyor Roller. 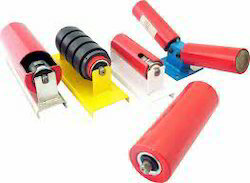 We provide a high quality of Carrying Rollers. We provide a high quality of Heavy Duty Return Roller. 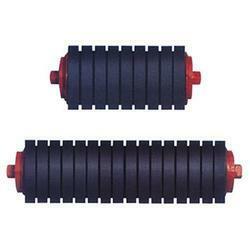 We provide a high quality of Return Idler Rollers. 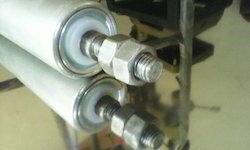 We provide a high quality of Self Aligning Frame Rollers. We provide a high quality of Conveyor Main Head Tail Drum Pulley.